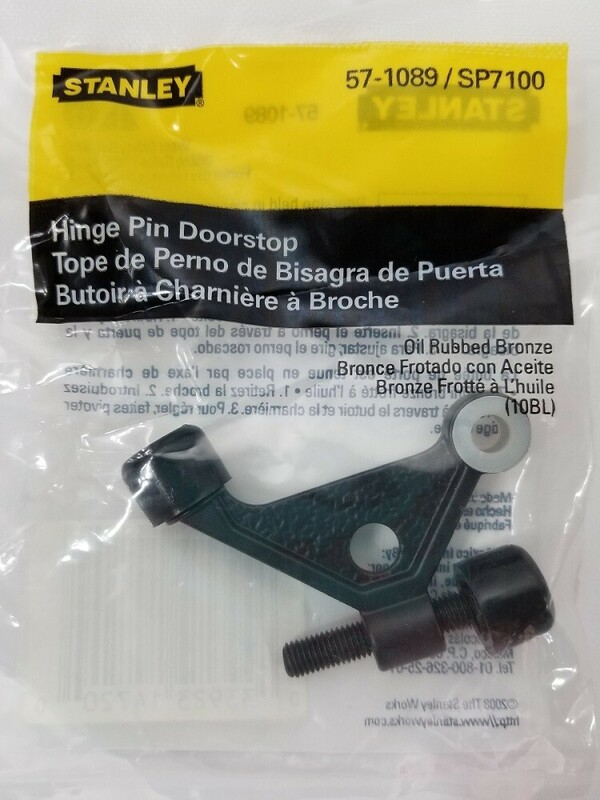 SP7100 Series hinge pin door stop with textured center style in an oil rubbed bronze finish. The matching finish door tip and trim tip are rubber and choke resistant. Hinge pin mount with adapter. Adjustable to stop door at any angle using screw in side against trim. Self-adjusting pad makes full contact with door.